All these stats indicate that social media, local search and mobile search all collide in today’s online world to provide an ultimate user experience. For example, a user may start their search locally by searching for a business on the web with Google local, then continue it on the social sphere by following the Facebook page and “liking” the business and finally finish their purchase on mobile by calling or booking with the business. This evolution of social media, local and mobile search merging is the SoLoMo revolution. 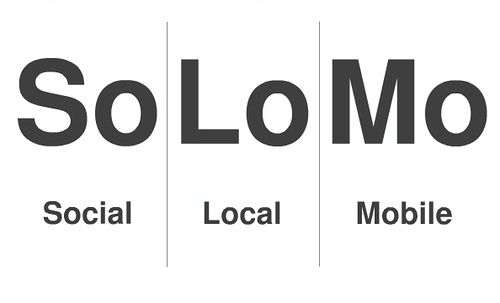 SoLoMo Tactic # 1 – Optimize your site for mobile. A mobile friendly site is a need in today’s times, not just an option. SoLoMo Tactic # 2 – Engage visitors on your site so visitors share that information with others off-site and on social media such as Facebook and Twitter even when they leave your site. 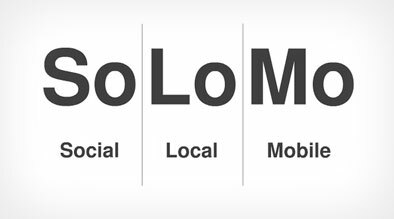 SoLoMo Tactic # 3 – Think of usability in terms of mobile. Make sure you have all the elements a user may need on the mobile site and make the social sharing buttons bigger and easier to find so the users can share it with their friends easily via mobile. SoLoMo Tactic # 4 – Use the social media channels to spread word of mouth endorsements of your business – drive engagement, awareness, opinions and interaction. Use sweepstakes to boost engagement. SoLoMo Tactic # 5 – The easier and simpler you can make it for the user to engage, the easier it will be for them to convert – so simplify the conversion process and capture the right person, at the right time, in the right place (social, mobile or local). Most of the users today are going “SoLoMo” with their shopping/buying behavior, so why are the businesses still waiting? Get on the wagon by following these top 5 SoLoMo Tactics to get started.